Tonk Online fun for Everyone! It is a quick game with relatively straightforward rules. Its objective is to eliminate your cards by forming them into ‘spreads’, meaning either 3 or 4 identical cards, or 3 or more sequentially in the same suit. 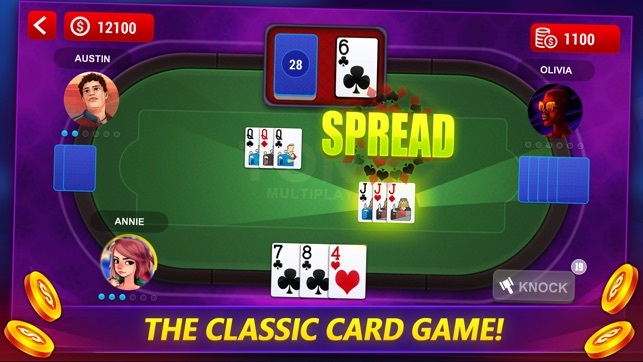 During the game a player may add to their own spread, or an opponent’s spread. 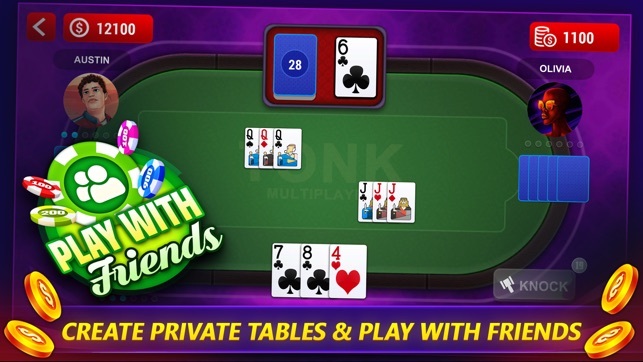 Play ends when a player has no cards left. Tonk is a matching card game. 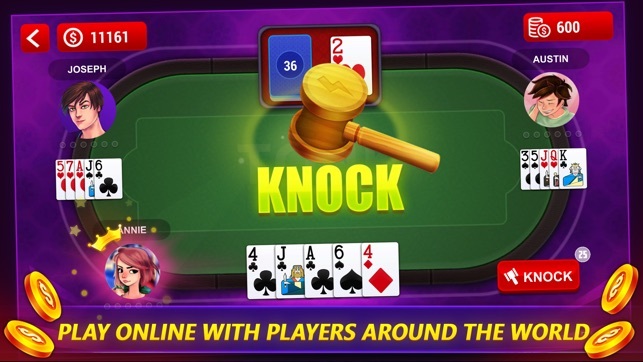 It is relatively a fast paced game that can be played by 2-3 players. Deal five cards, clockwise, to each player. 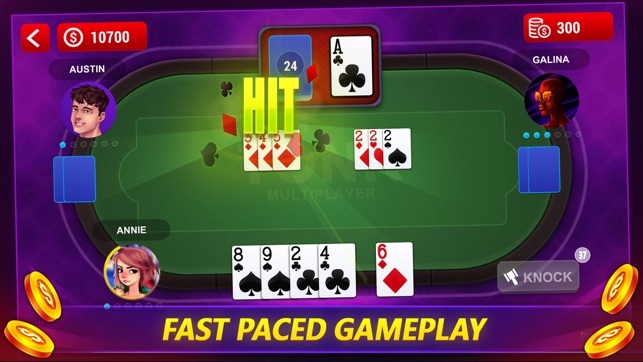 Face cards count for 10 points, aces for 1, and the rest are at face value. After all hands have been dealt, the next card is played face-up, in the center of the table, to start the discard pile. Remaining cards are placed next to the discard pile, to form the "stock." 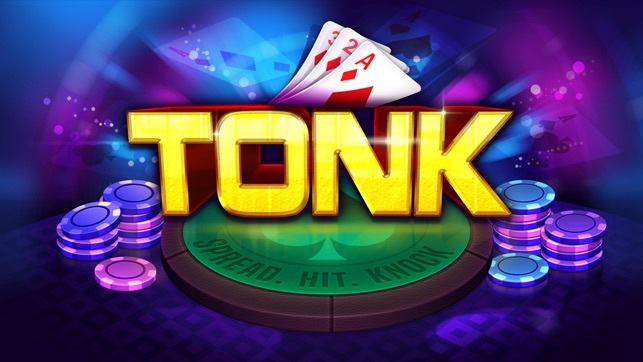 Play this exciting game of tonk with your friends and become the master of Tonk! Tonk players need a good memory and a knack for well-timed aggression. A good players memory can serve them well. You never want to help your opponent. The first and fastest way to win Tonk is to Drop, Drop it like it’s hot!!! But don’t get caught! Enrich your knowledge on Tonk. Just remember to be always quick, because this game DOES reward quick reactions. Play this timeless classic card game anytime anywhere! With your friends or against real peoples from anywhere in the world. It’s a popular pastime. * Play your way to top the Leaderboards! Having any problems? Any suggestions? We always love to hear from you and making this Tonk game better. We would be very grateful for any feedback! It won’t let me change the Facebook on the app!! This needs to be fixed ASAP!!!! No one is ever online to play.